wolk and Aerith. achtergrond. 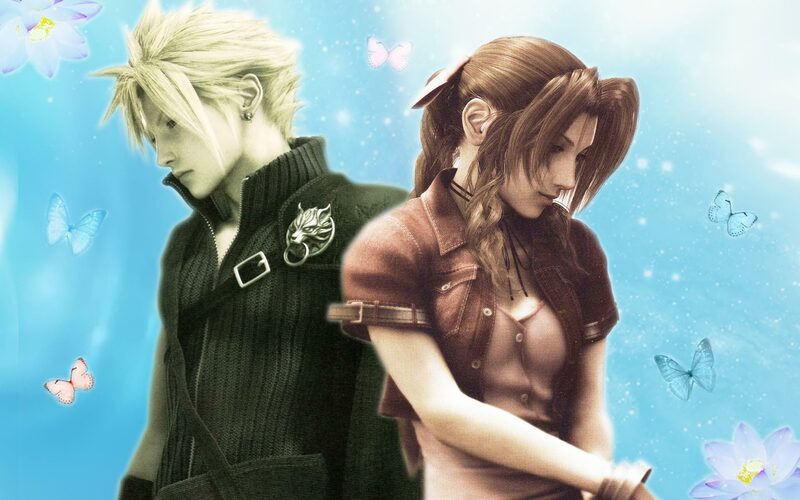 HD Wallpaper and background images in the Final Fantasy VII club tagged: photo character cloud aerith wallpaper. This Final Fantasy VII wallpaper contains portret, headshot, and close-up. There might also be aantrekkelijkheid, beroep, hotness, badpak, badmode, zwemmen kostuum, zwembroek, zwemkleding, baden kostuum, hot pants, and hotpants.